North Wind provides innovative remediation technologies to develop, design, construct, and implement innovative and low-impact remedial actions for site cleanup activities. We have provided technical support and consult services to the EPA on more than 15 CERCLA sites nationwide, in addition to developing and deploying hydraulic fracturing for bioremediation of chlorinated solvent sources in low-permeability fine-grained soils. North Wind has implemented RCRA corrective actions for the U.S. Department of Energy to assist in remediating such contaminants of concern (COCs) as trichloroethene (TCE), tetrachloroethylene (PCE), and nitrate. 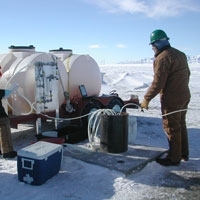 North Wind’s remediation efforts have been instrumental in cleaning up large groundwater contamination plumes and source areas at the NASA White Sands Test Facility.